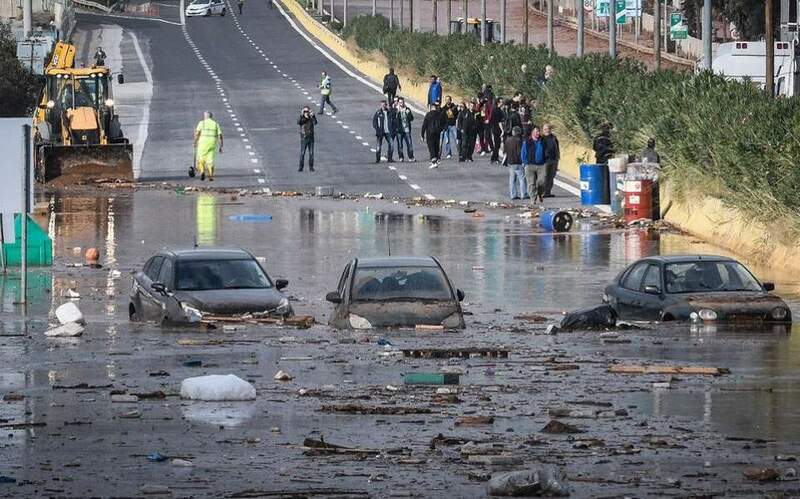 Major flash floods like those that hit western Attica in 2017, claiming 23 lives and destroying hundreds of properties, will be the rule and not the exception in coming years, according to a digital simulation model created by a team of experts at the University of Athens. “We have seen a significant increase of flooding phenomena from 1980 onward in Attica,” Dr Michalis Diakakis, of the university’s Department of Geology and Geoenviromment and a member of the team researching extreme weather, told Kathimerini. “The data we have show that the situation is very different and much more acute in the past decades compared with the evidence recorded in the period 1940-1980,” he added. The Athens University team combined historical data along with information regarding the area’s natural landscape, creating a simulation of what could happen under different scenarios. The areas more susceptible to flooding are those located along the 27 kilometers of the partly covered Kifissos River, which essentially runs through the entire Athens metropolitan area, from Mount Parnitha in the north, to the Bay of Faliro in the south. The research names the areas of Varimbombi, Kryoneri, Anoixi, Nea Erythrea, Kifissia, Acharnes, Metamorfosi, Nea Filadelphia, Aghioi Anargyri, Peristeri, Egaleo, Aghios Ioannis Rendis, Moschato and Faliro, as being among these. Sprawling urban settlements and human activity in and near streams have limited the space available for the water to flow smoothly to the sea, the evidence shows.